How to add a new button in TabControlExt? 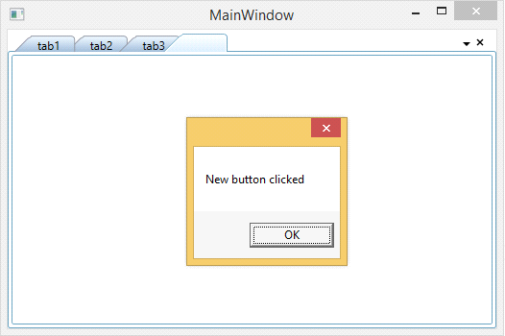 In TabControlExt, you can display a new tab by using the IsNewButtonEnabled property and the click event on new tab can be handled by the NewButtonClick event handler. The following code example demonstrates the same. The following screenshot displays the New Button added in TabControlExt.